For its perplexing first half hour, "21 Grams" exists as a series of plot splinters, fragmented and inconclusive, almost as if just a collection of outtakes from a more established product that remains unseen. But then the movie reveals itself almost as easily as it gets underway; a light switch goes on and the darkness fades away, revealing a story so stirring, so inquisitive and so uninhibited by the restraints of cinema that it absorbed me in ways that few movies ever have. You know you are dealing with something great when a plot can so easily absorb you without actually being very obvious, but it takes a stroke of pure brilliance to twist it into so many knots while keeping its viewers thoroughly engaged in the process. This isn't just one of the best movies of the year; it is one of the most thoughtful, challenging and engrossing endeavors we will ever see. Don't be fooled by anything the first 20 minutes might suggest. The challenge of summarizing the story in a review comes not by the fact that the plot is ingenious with precious details, but by the fact that its technique is the primary source for insight. Seemingly mastering the nonlinear puzzle concept implored by Christopher Nolan's "Memento" and even David Lynch's "Mulholland Drive," "21 Grams" plays leapfrog with its viewers, revealing dilemmas, identities, morals and confrontations with no established pattern, but in a way that adds alarming perspective to events and/or internal conflicts that are revealed elsewhere. This is not a premise that can be easily appreciated with a chronological setup, because to see the story in order would mean lessening the impact of its tension, which comes from the notion that you literally don't know what you will be seeing in the next frame. This is an endeavor that is genuinely engaged by its offbeat approach. As for plot details themselves? 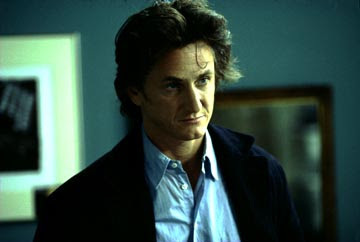 Here's what can be said without revealing anything significant: Sean Penn plays Paul Rivers, a mathematician with a crippling physical illness whose survival depends of the fatality of another. Naomi Watts plays Cristina Peck, a happy housewife with two kids whose image of the perfect family is about to be destroyed by someone else's accident. And Benicio Del Toro plays Jack Jordan, a reformed criminal who has found Jesus but may be simply unable to escape the destructive pattern his life has been dependent on for so long. These three character arcs are the source of the movie's path of chaos; seemingly unrelated, they are brought together by circumstance, impulsive decisions and sheer luck. No one foresees how there lives will intertwine, nor will any of them know of the final outlook. For 125 minutes, they are simply there sharing each other's burdens, sometimes accidentally, sometimes unknowingly, but almost always directly. Acting is just as much a part of this film's backbone as the storyline itself, and there's no denying that it's easily one of the most well acted endeavors of the year, if not THE. Penn, who wowed audiences with his turn as a grieving but vengeful father in "Mystic River," delivers a shockwave of energy here as Rivers, who hopelessly walks life waiting for the right time to die, even when his medical problems are apparently washed away. Watts, meanwhile, operates on a high scale of plausible emotion, especially in scenes that demand her to react to tragic news about the other members of her family. And Del Toro, who did fabulous work in "Traffic" and then followed the endeavor up with the lackluster "The Hunted," is back in top form here, portraying a man whose heart is always in the right place even though the results of his efforts usually turn out the same. Just as each of them stands significantly on an individual scale, the screenplay also demands that they share varying levels of chemistry, too. When Penn and Watts are drawn together in a shameless vendetta, they're both plausible and kinetic, as their characters run through a series of negative and then passionate confrontations before resolving to lower themselves to the same level of evil that established the whole connection in the first place. By the time they get around to meeting directly up with Del Toro's character, in fact, they are simply no longer the same people they were before the ordeals. They are all three lesser parts of the same whole. Any and all of this could have been presented in just a routine fashion if the filmmakers wanted it that way, but thankfully director Alejandro González Iñárritu is no ordinary filmmaker. He refuses to limit his vision to tradition; it is spontaneous and intuitive, twisting and tearing the plot in so many ways that it's a wonder it makes any sense at all. But it does, because the quality of writing is as thorough and dedicated as any drama that insists every detail be absorbed and understood. 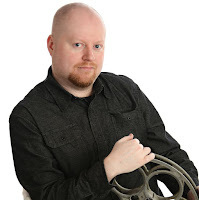 Watching it play out here is like watching poetry filtered through a kaleidoscope, and the result is a more innovative, more impulsive and more effective work than one could get by merely telling the story traditionally. At the end of the film, Paul Rivers reveals the title's significance, by announcing that "your body loses 21 grams when you die." Whether that statement is true is irrelevant in the end because it's the characters who seem to believe it; after all is said and done, they've been emotionally bruised and battered so significantly that they can practically declare themselves dead by default. The message here, though, isn't about death specifically, but about life unfulfilled and personal destiny compromised by another person's choices, and Iñárritu's direction gives the themes such a new and clever treatment that it heightens their sense of significance beyond the conventional. We aren't dealing with something here that is just unusual for the sake of standing out; this is an impressive, dedicated and rich achievement unmatched even by the greatest puzzle movies of our time. Pure and simple, "21 Grams" is a masterpiece.